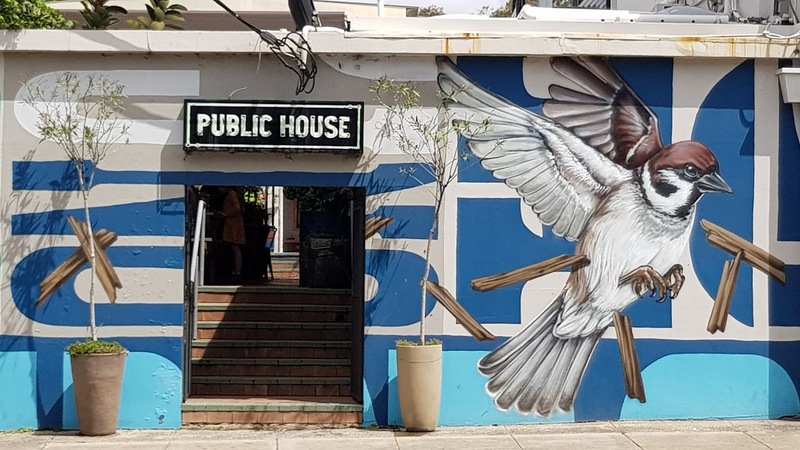 This mural is at the entrance of the beer garden at the Public House Petersham, a pub located along Stanmore Road, in the inner west suburb of Petersham. It was previously known the Newington Inn Hotel. This is a beauty Jim..
Great mural Jim, thanks for contributing. Another lifelike bird. Great display here. I like it. You don't see or hear "public house" used much these days but the shortened "pub" is quite commonly used in Australia. ...it's so lifelike, the term 'public house' is interesting to me. That bird would lure me in for sure!